Chris Glenney has been named president and CEO of Tyler, Texas-based Christus Trinity Mother Frances Health System. 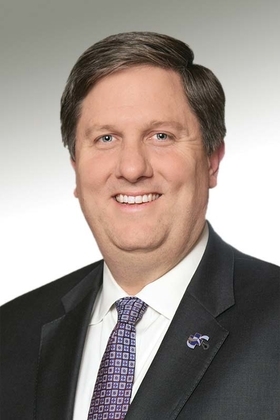 He replaces Lindsey Bradley, who will serve as senior VP of group operations for Christus Health and CEO of Christus Health Northeast. Most recently, Glenney, 42, was COO of the eight-hospital Christus Trinity Mother Frances, a position he held since 2016. Glenney first joined Trinity Mother Frances—which was acquired by Christus Health last year—in 1998. Joe Rudisill has been named COO of Regional Medical Center Bayonet Point, an HCA hospital in Hudson, Fla. He replaces Shalin Shah, who left to move to the Nashville area. Rudisill was most recently COO of Henrico Doctors' Hospital, an HCA facility in Richmond, Va. He joined Henrico Doctors' in 2014 as associate administrator overseeing the emergency department, two free-standing ER departments, ancillary services and the hospital's kidney transplant program. Previously, Rudisill was director of operations for Virginia Oncology, a multispecialty practice in central and southern Virginia. Dr. Mark Peters is retiring as president and CEO of East Jefferson General Hospital, a community hospital in Metairie, La. Dr. Raymond DeCorte, the hospital's senior VP and chief medical officer, will serve as interim CEO. Peters joined East Jefferson in 2000 as medical director and was promoted to CEO in 2002. 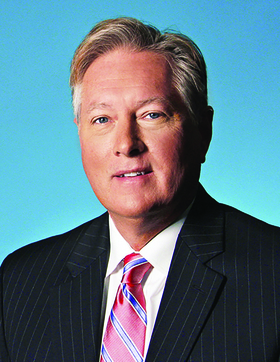 During his tenure, Peters led the hospital through the aftermath of Hurricane Katrina. He also served as chairman of the Coalition of Leaders for Louisiana Healthcare, a group of healthcare and business leaders organized to make healthcare a state priority and modernize the state's system after Hurricane Katrina. Gina Marone has been named VP of healthcare services and chief nurse executive at Einstein Healthcare Network, based in Philadelphia. She replaces Richard Cuming, who left to become chief nursing officer of Christiana Care Health System, Newark, Del. Marone, 50, most recently was VP of clinical operations for multiple New Jersey locations operated by MD Anderson Cancer Center at Cooper, part of Cooper University Health Care, Camden, N.J. Cooper partners with MD Anderson Cancer Center in Houston. Previously, Marone was VP of patient-care services and associate chief nursing officer at Cooper University Health Care. Richard Shumway has been named VP and chief administrative officer at the University of Cincinnati Medical Center, the flagship facility of UC Health. He begins his new roles May 1. Shumway has served as executive director of the University of Utah Hospitals and Clinics since early 2016. Previously, he held administrative roles at the University of Washington Medical Center in Seattle and UPMC in Pittsburgh.